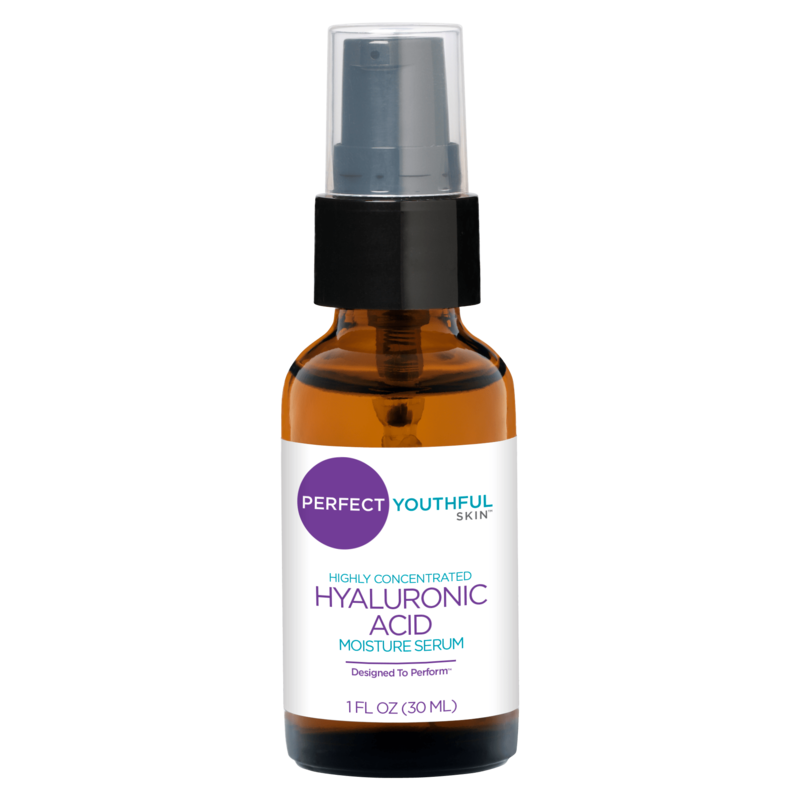 Hyaluronic Acid (HA) locks in up to 1000 times its weight in water, supporting and hydrating the surrounding collagen that helps keep skin firm and supple. The body’s HA production decreases with age, leaving the skin feeling dry and wrinkled. Your skin needs a constant supply of HA, but it becomes harder for your body to make it as you get older. The premium grade HA used in Perfect Youthful Skin most closely mimics the body’s own natural HA. Pure HA Serum increases the amount of moisture retained in the skin, restoring youthful suppleness while diminishing the appearance of fine lines and wrinkles. Directions for Use: After cleansing massage 1 or 2 drops onto the face, neck and back of hands. For best results use twice daily. For optimum moisture retention use when skin is hydrated. Ingredients: Water, sodium hyaluronate (hyaluronic acid) and zinc citrate.